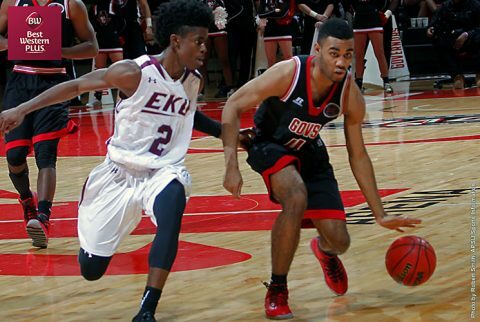 December 2016 Archives - Clarksville Sports Network - Clarksville Tennessee's most trusted source for sports, including Austin Peay State University. Clarksville, TN – Austin Peay State University men’s basketball team took the preseason Ohio Valley Conference favorite down to the wire to open OVC play, dropping an 82-77 decision to Belmont at the Dunn Center. 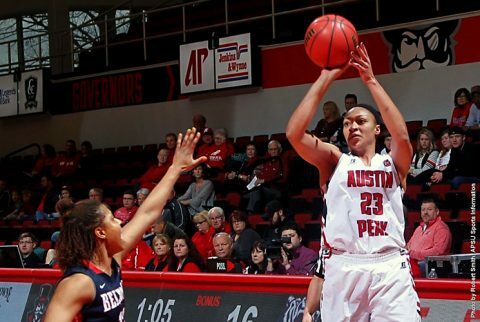 Clarksville, TN – Four players finished in double figures for the Austin Peay State University women’s basketball team, Saturday, helping put together another strong fourth quarter performance in an 80-71 loss to Belmont in the Dunn Center. 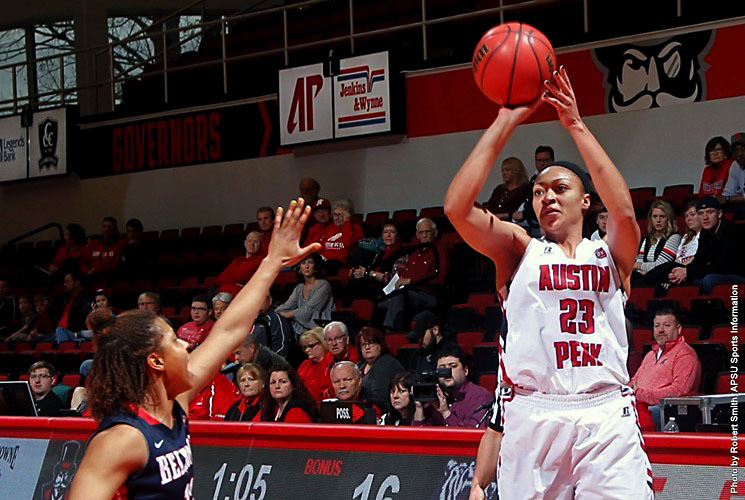 The Govs shot 42 percent or better in all four periods, including a 56 percent clip in the second quarter. Knoxville, TN – Tennessee will open SEC play against #17/23 Kentucky at 3:00pm CT on Sunday at Thompson-Boling Arena. The game will be televised on ESPN2, and also will be available online through WatchESPN. Visit WatchESPN.com or download the WatchESPN app to view the game on a computer or mobile device. Pam Ward (PxP) and Gail Goestenkors (Analyst) will describe the action between the Lady Vols and the Wildcats. 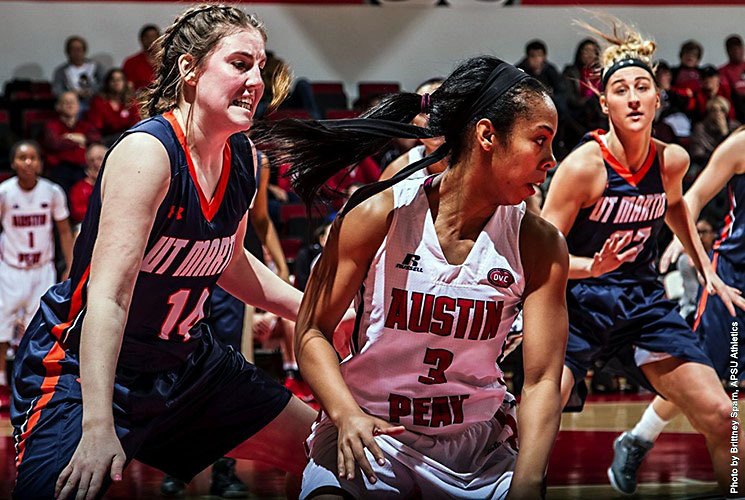 Clarksville, TN – Austin Peay State University women’s basketball team will close the book on 2016 with a New Year’s Eve contest against defending Ohio Valley Conference Tournament champions Belmont at noon, Saturday, in the Dunn Center. 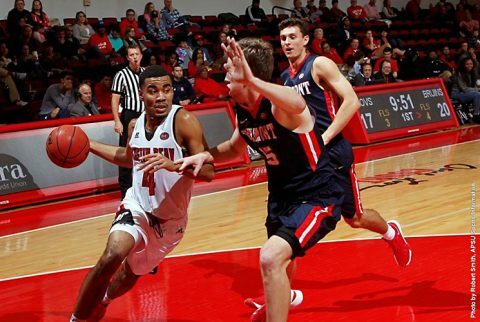 Clarksville, TN – With the non-conference schedule behind them, Austin Peay State University men’s basketball team gets a big early Ohio Valley Conference test against Belmont in a 2:30pm, Saturday contest at the Dunn Center. 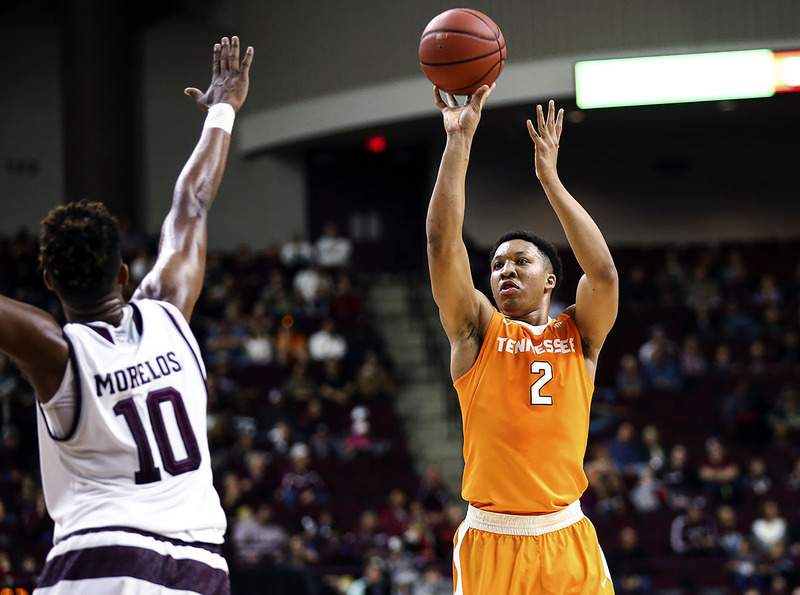 College Station, TX – Tennessee had four players finish in double figures and Grant Williams tied the single-game school record for blocked shots as Tennessee earned a 73-63 win at Texas A&M in the SEC opener on Thursday night. Williams stuffed the stat sheet for the Vols (7-5, 1-0 SEC) with 12 points, five rebounds and six blocks. Those six swats matched the most ever recorded in a game by a Volunteer and is the most for UT since Kyle Alexander finished with the same total last season at TCU. 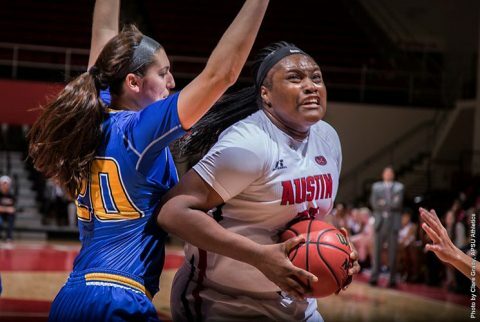 Clarksville, TN – Austin Peay State University women’s basketball team put together a late-game rally in its Ohio Valley Conference opener, but fell just short, 81-71, Thursday against Morehead State in the Dunn Center. Knoxville, TN – Senior Jordan Reynolds recorded the third triple-double in program history to lead Tennessee Lady Volunteers basketball team past the UNCW Seahawks 90-54 on Thursday night in Thompson-Boling Arena. Reynolds finished with a career-high 14 rebounds to go along with 11 points and 10 assists, becoming the third Lady Vol to accomplish a triple-double and the first since Shekinna Stricklen in a win over Oklahoma in 2010 (17 points, 13 rebounds, 12 assists). 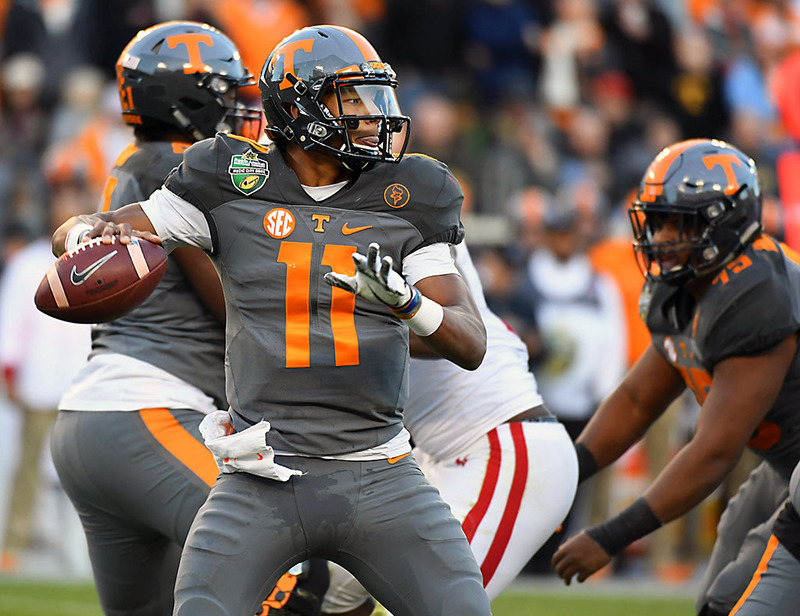 Tennessee (8-4) took the lead for good midway through the second quarter and outscored UNCW (5-6) 27-7 in the third quarter en route to the team’s fourth consecutive victory. 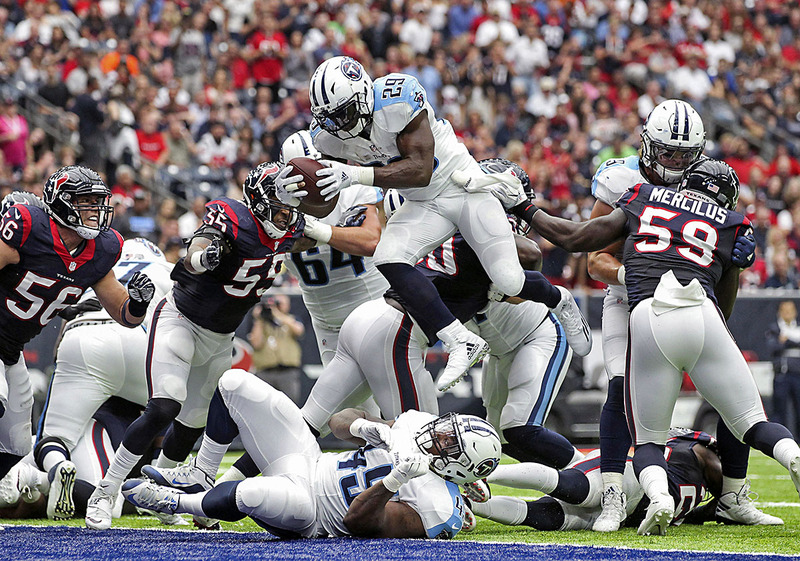 Houston, TX – In their first AFC South division matchup of 2016, the Tennessee Titans rallied from a double-digit deficit to draw even with the Houston Texans in the third quarter but were unable to finish the comeback, taking a 27-20 loss to Houston at NRG Stadium. Running back DeMarco Murray led the offense once again, recording 119 all-purpose yards and two rushing scores—Tennessee’s only touchdowns of the day—to mark his third-consecutive game with over 100 yards from scrimmage.